Home Carolynne Fashion & Beauty Do YOU Jeffree Star Approve? Jeffree Star. Just mentioning the name can polarise a room. Some people will roll their eyes in disgust and denounce him as an ignorant, racist sell-out; some people will laugh and clap and sing his praises. Being one of the most controversial people in the beauty industry, Star has certainly made a huge name for himself in recent years. Being the mogul of an eponymous, mega, multi-million making makeup brand, and being the centre of endless celeb feuds, whatever you think of him, there is no denying: he is fascinating. If you haven’t seen Shane Dawson’s ‘The Secret Life of Jeffree Star’, I recommend it. Both entertaining and emotional, the YouTube docuseries investigates the background of Jeffree’s life. Uncovering the likes of his turbulent childhood, his initial claim to fame in MySpace, a rocky music career, and a behind the scenes look-in on his dominating makeup company, the series is one for both lovers and loathers of the beauty guru. But what is addressed is that Jeffree’s current fame is a due cause of his cosmetics influence, and yet more infamously, his countless scandals. Outrage is fairly common amongst the beauty industry, with Jeffree being at the pinnacle of it all. Most recently, Jeffree has been embroiled in drama with former friend, Laura Lee (another beauty guru), after a picture that influencer, Gabriel Zamora posted, with a caption insinuating that Jeffree was bitter without them. Fans of Jeffree immediately dived into the pasts of the people in the photo – Zamora, Lee, and other makeup stars like MannyMUA and Nikita Dragun – unearthing some pretty ugly tweets from Lee’s past. Since then, Lee has lost half a million subscribers, and had temporarily deleted her Twitter account, posting an apology video that many people slated as fake. Jeffree spoke out about his former friends in Dawson’s documentary, saying that after people like Lee and MannyMUA having used him, it makes it difficult for him to know who to trust. Regarding Lee personally (in now deleted tweets), he branded her as ‘pure evil’, regretting ever introducing her to his audience. Time and time again, Star has also tweeted about how tired he is of people asking him about his ex-friends, especially MannyMUA, explicitly stating that the YouTuber used him to simply ‘grow his bank account’. As one of the biggest beauty heads in the world, it is easy to see why and how people would use Star for fame and views. Likewise, making it easy to see why this would cause so much drama within the industry. Just a few years ago, Star had a public feud with Kat Von D after she accused him of stealing others’ artwork, not paying people correctly, and blatant racism. The two made videos on their respective YouTube channels directed at each other, both claiming to be telling the truth – with both also contradicting one another massively. 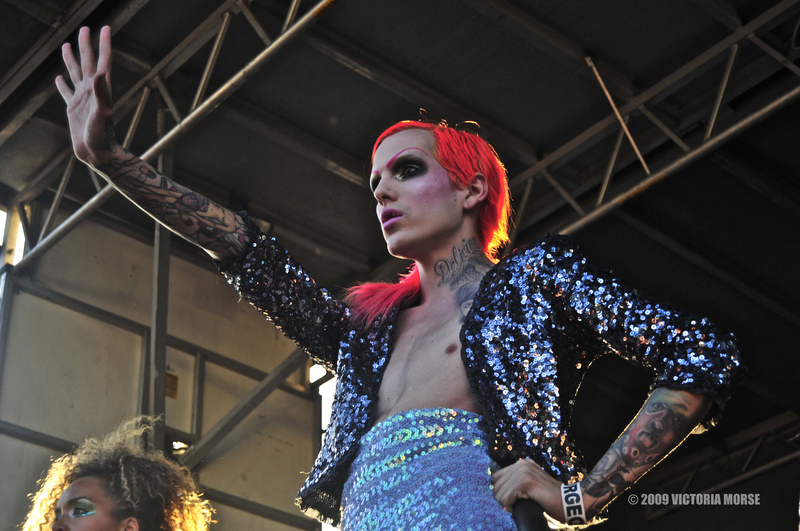 Since then, many accusations of racism have come out against Jeffree, including a recording of him saying that he would throw acid in a woman’s face to lighten her skin tone. Being tarnished as racist has followed him around for years, and will continue to do so. Many people refuse to buy his products based on this moral, and who can blame them? Racism is inexcusable; no matter the person, place, or time. Star has tackled these accusations head-on, coming clean about such incidents in a year-old video, apologising about them. Many of Star’s fans believe Dawson’s five-part series has does a fantastic job of showing people who Jeffree Star really is, and how he has moved beyond being this young, angry, and irrational, Myspace personality, to now being mature and in a much better place. Many people took to Twitter to express how this documentary has changed their views on Jeffree, swinging them from neutral or negative, to a rather positive stance. As you can imagine however, there has been some harsh backlash against the series, telling that Jeffree does not deserve this redemption arc, and that what he did in his past is inexcusable. People do not think that such a debated figure deserves so much time in the limelight, especially with the amount of young people today finding inspiration from sensational, YouTube stars. But let me say this: controversial figures do make the best documentaries. And like I said at the start, Jeffree Star is fascinating. Shane’s documentary has not only fed that fascination for many people, but it has humanised Jeffree too. It has taken him from an untouchable, doll-like status, turning him into a three-dimensional person with failings and problems, as well as strengths and passions. With all this stigma, I haven’t even had chance to touch upon Jeffree Star Cosmetics yet. His line began in 2014, with only a few liquid lipsticks having been released. Since Star’s popularity having exploded in the meantime, this meant the success of his makeup line was only synonymised. His liquid lips are phenomenal – having every shade you can think of available, with a formula that does not budge, in addition to being vegan and cruelty free. The recipe is creamy and streak-free; better quality than anything I personally have ever used. His shadows are velvety and blend like a dream. His highlighters are viewable from space, and his lip scrubs taste divine. Every new release sells out in seconds, and his products are constantly in demand. It’s rare to see a bad review about his products, with many influencers raving about them. Jeffree always talks about how much care and time he puts into his makeup whenever he launches another product, and this is clear to see. Only last week, Jeffree partnered with Beauty Bay (his UK retailers) for a sold-out ‘Can’t Relate’ tour. Hitting Dublin, Manchester, and London with his extra personality, thousands of people flocked to see him. Despite his controversy, dark past, and constant drama, people are drawn to Jeffree Star like moths to a very expensive, designer lamp that’s bedazzled with Swarovski crystals. There’s just something about him and his dramatic, extra personality that makes him magnetic. Every video he uploads gets millions of views, with people coming back again and again to copy his tutorials and listen intently to his reviews. Being vastly entertaining, and quotable too – at least one girl in your life won’t start doing her makeup without pointing in the mirror saying, ‘welcome back to my channel’. I may be guilty of doing that a few times myself.